This Complete EHR is 2014 Edition compliant and has been certified by an ONC-ACB in accordance with the applicable certification criteria adopted by the Secretary of the U.S. Department of Health and Human Services. This certification does not represent an endorsement by the U.S. Department of Health and Human Services. 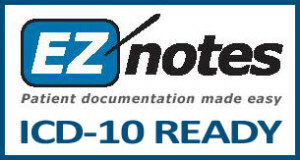 I, Dr Michael Silbert, Co-President of EZNotes Inc will be selling the Certified version C:14 to the Chiropractors that use our documentation. There is a one-time cost for the Certified version. Other Great Features Include: PDR, Kinesio Taping illustrations, X-ray positioning photos, Customizable Exercise Handouts (Over 200), Scheduler, Assorted Standard Documents, Kiosk (For Patients for start their SOAP Note), Patient Education, MVA References, 26 updates/yearly based on doctor suggestions, and more! 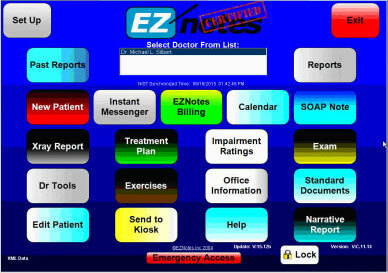 EZNotes Chiropractic Documentation and Billing software was created by an “in the trenches” chiropractor, Russell Manktelow, D.C. while he worked as an independent contractor in Michael Silbert, D.C.’s office. 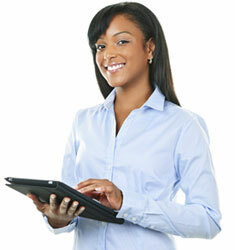 As they were looking to make their work and their lives easier by reducing their time spent doing paperwork. Realizing they were wasting their time with antiquated and expensive documentation solutions, they set out to find a computerized system for documentation. After exploring many of the options available, they realized that none met their requirements fully, and were also overly complicated. So Russell Manktelow, DC decided to build his own system. 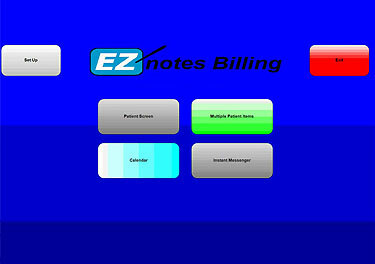 The result of years of development work and in-practice testing was EZnotes™ Classic Chiropractic Documentation Software along with EZnotes™ Billing. After you click the button below, enter your user name and password to download/update your software.